Conquer every battle. 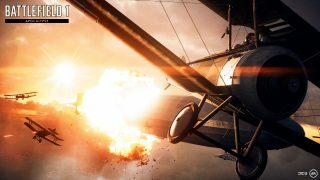 The ultimate Premium Pass giveaway for Battlefield 1 is here. 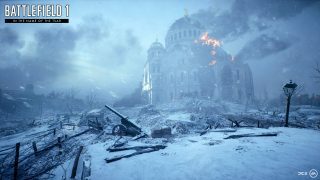 The Battlefield™ V Open Beta is now over, and we know it’s left a huge, 64-player hole in your heart. Not a problem, because the Road to Battlefield V continues with the Battlefield™ 1 Premium Pass becoming absolutely free* for one week only, starting now. 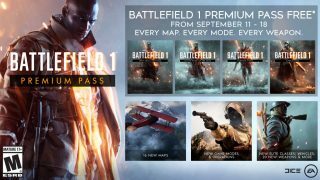 This offer will let Battlefield 1 owners play everything Battlefield 1 Premium Pass has to offer: They Shall Not Pass, In the Name of the Tsar, Turning Tides, and Apocalypse. If you’re not familiar with these, don’t fear – we detail each right below the download information. This expansion sees the hardened French Army join the fight, and you’ll get to don their characteristic blue uniforms, try new weapons, and play on new maps as you defend their homeland. Take your squad into the maze of dark galleries on the fan-favorite Fort de Vaux map for some close-quarter combat. If you’re in the mood for more open environments, try out Conquest on a map like Rupture, where you’ll fight with tanks, biplanes, and on foot across a sea of poppies. 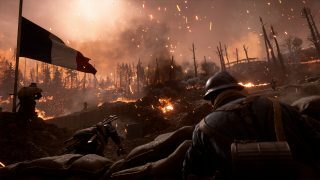 The once quiet and peaceful village of Passchendaele has been pulverized by weapons designed to end the war swiftly, which leads to the infantry-focused Passchendaele map, packed with cover and trench networks, ruined houses, and abundant shell craters. 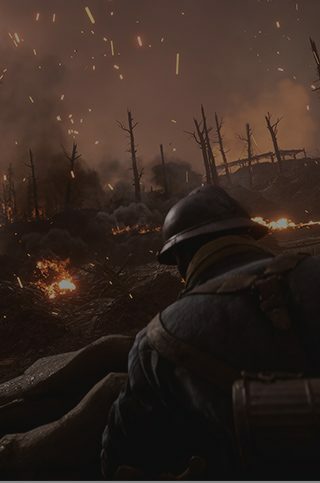 Similarly, the once thriving wheat fields of Somme have been cooked to ash by a storm of steel – it’s open warfare on the River Somme map with clear trench line battles of man versus machine. And that’s just two of the five intense maps. Prepare for deployment – pre-order Battlefield V**.